THE APPROACH THAT WE TAKE AT NEW BEGINNINGS ensures ALL YOUR LANDSCAPING NEEDS ARE MET. One-hour complimentary custom consultation with New Beginnings’ Owner/Operator, Will Sibley. The purpose of this consultation is to help us understand your specific landscaping needs, as well as your time frame and budget. By providing you with photos of different landscaping options, together we can identify exactly what you have in mind. We’ll also assess the makeup of your property, including the terrain, soil and sun exposure. 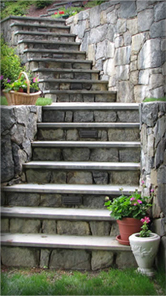 And of course the style of your home and your personal taste will also influence landscape design. Next, we will prepare a detailed proposal for the work to be done based on our analysis of your property, what you’ve told us you want, and the vision we uncovered during the consultation. We will include proposed landscape designs, a time frame for project completion and cost estimates. Together, we will review the proposal and make adjustments or modifications as needed. We won’t start work until you are completely satisfied with the plans. When it comes to installation, we are committed to making sure the work is done properly, on time and on budget. Will Sibley stays hands on with your project installation from beginning to end. He will be there for you every step of the way, always ready to answer your questions. Once the project is complete, we will check back to make sure that you’re completely satisfied with your results. 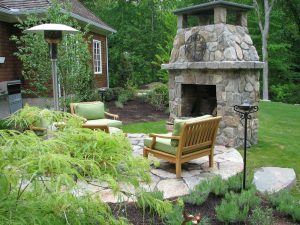 Contact Us today for your complimentary custom landscape architecture consultation. Complimentary consultation with Bob or Will Sibley: You will meet with either Bob or Will to determine exactly what landscape maintenance is needed to make sure your lawn and plants look their best all year long. Will and his father Bob have been maintaining lawns and properties for over 60 years combined! Bob owned his own lawn care company in New Canaan CT for 30 years before “retiring” and coming to work for New Beginnings in 2011. Next, we will prepare a landscape maintenance proposal for your lawn or property that will keep your investment looking pristine, well maintained and healthy throughout the year. Our New Beginnings landscape maintenance team will expertly care for your lawn, gardens, shrubs and plantings and ensure they stay beautiful and healthy all year round.